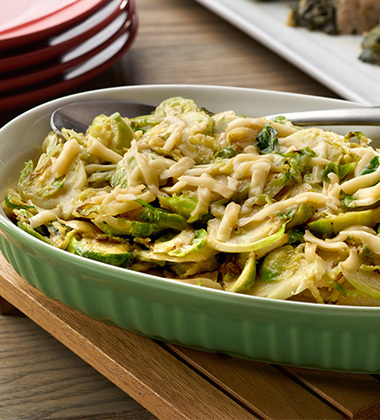 Cooked in browned butter, this creamy vegetable side dish made with Campbell's® Condensed Cream of Mushroom Soup is topped with Gouda cheese and baked to perfection! 3. 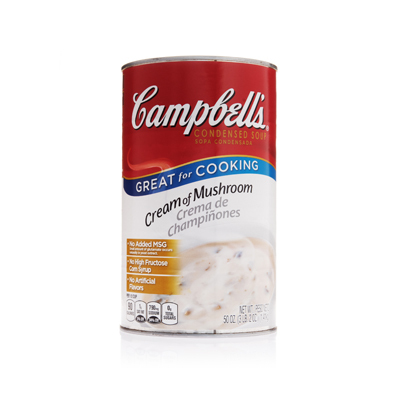 Add Campbell's® Condensed Cream of Mushroom Soup, milk, pepper, salt and nutmeg. Stir until thoroughly combined.